Stream media files from 4Sync to large screens via 4Sync for Android! 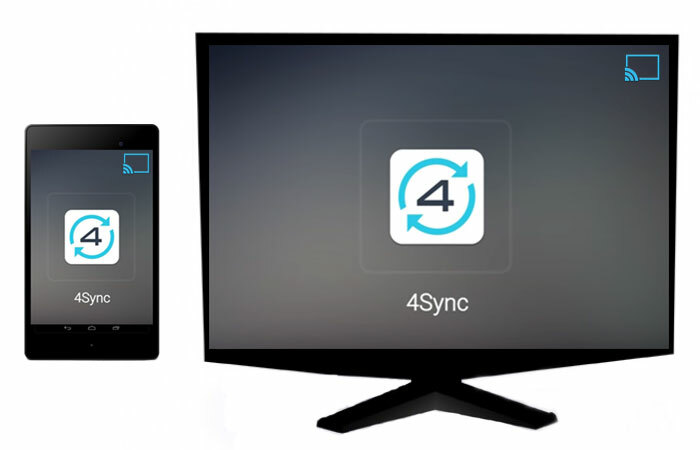 Meet the helpful feature in 4Sync for Android – seamless streaming of media files from 4Sync directly a to Smart TVs, Chromecast, Xbox and more! Now you can easily stream music, video and other media from your 4Sync account directly to Chromecast or a DLNA-compliant device – using 4Sync for Android! 1. Connect your Android smartphone/tablet and a “receiver” (DLNA-compliant TV or else) to the same Wi-Fi network. 2. Log in 4Sync for Android app. 3. Tap the file you wish to stream on a large screen. 4. Tap the “Cast” icon on the file preview page. 1. Tap the “Cast” icon on the file preview page. Download the upgraded 4Sync for Android from Google Play and test out the new feature yourself!